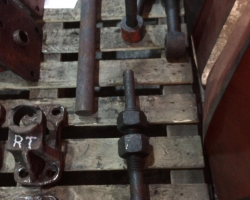 Brian has removed all four of the spring hanger brackets associated with the middle driving axle after it was decided to replace at least one of them. 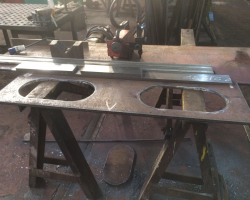 He has also started work on the replacement for the old and wasted upper plate from above the pony truck pivot plate. The new upper plate to go above the pony truck pivot plate with the material for the front and side flanges on top at the back. 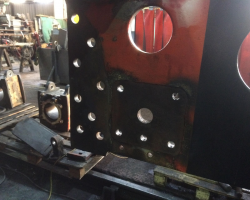 The inside of the Right hand frame looking towards the front of the loco showing the rear of the centre axle cut out where the axle box normally fits. The square, unpainted area is where the damaged spring hanger used to be and the small hole at the top left of the picture is the one with the crack passing through it. 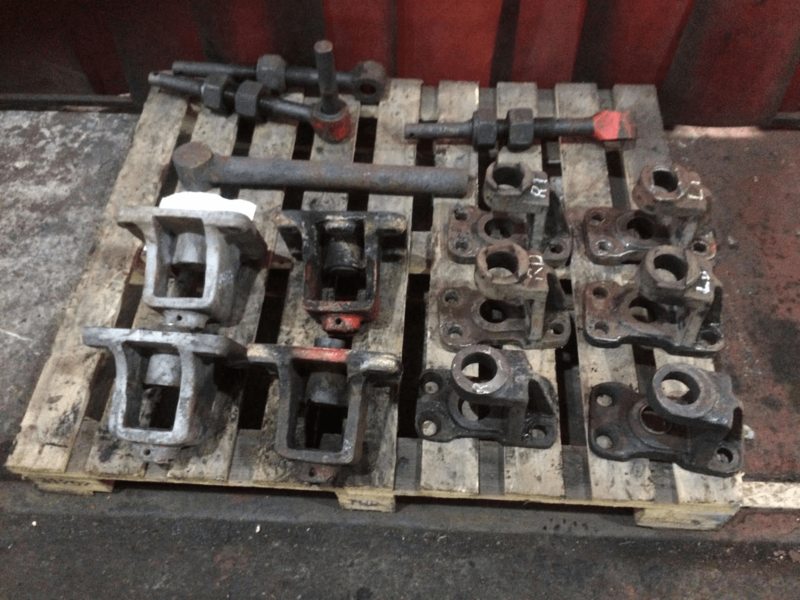 The various recently removed parts. 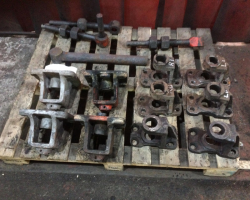 The four cast brackets front left are the spring hanger brackets from the centre driving axle with the damaged one front row second from left. 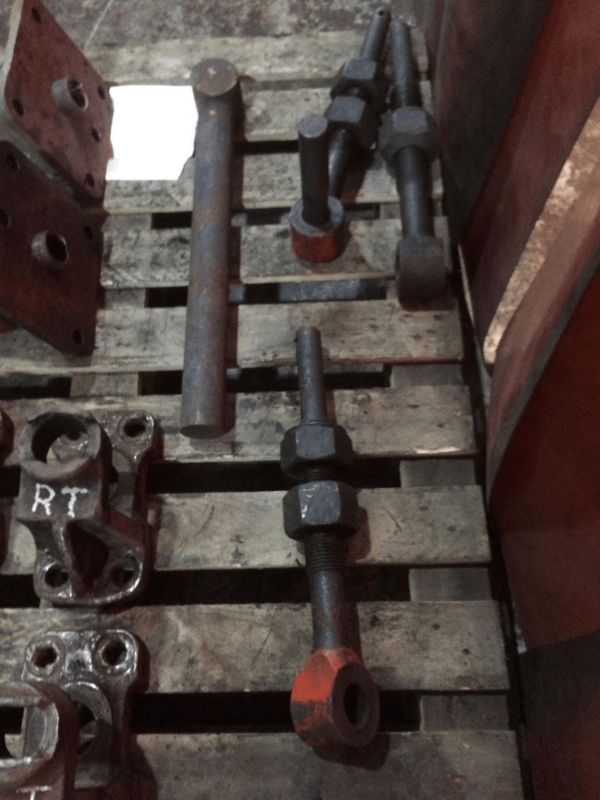 The six brackets to the right are brake hanger brackets whilst at the back (slightly out of focus) are three of the existing spring hangers and a forging for a spring hanger replacement. 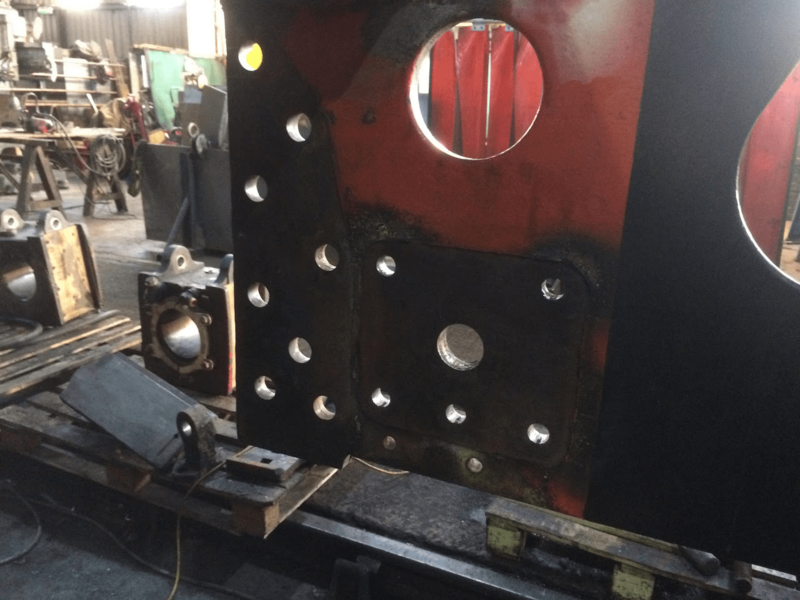 Finally a second shot of the same set of parts but concentrating on the old spring hangers and the “new” forging of which the SVR has sufficient in stock to replace all 12 from our loco.